Speaking at his induction into the Fiorentina hall of fame in 2014, an effusive Batistuta reminisced about his time with the club where, throughout the nineties, he forged a reputation as one of the most feared marksmen in world football. His ascent to the pinnacle of Italian football was inextricably married to La Viola. Yet, for a footballer that would go on to become their most revered player, things in Tuscany began rather modestly. Following his arrival in 1991 after an impressive showing at that year’s Copa America, Batistuta settled into life in Florence with 13 goals in his debut season. The so-called adjustment period that South American footballers were expected to undergo when moving to Europe seemed to pass Batistuta by. He fitted in seamlessly into the Fiorentina line-up and began to hone the killer instinct for which he would become famous. However, though he would score crucial goals against the likes of Roma and Juventus, a knee injury would curtail his progress in his maiden campaign, eventually limiting him to 27 league games. As such, feeling the absence of their new striker for the season run-in, Fiorentina would limp home to a 12th-place finish. Batistuta’s star was rising, albeit it at a modest rate, and in his second season, he reaped an even greater goal tally. Yet, his own personal success was tainted with the bitter sting of relegation, for despite his best efforts, Fiorentina’s porous back line was breached far too often and they slipped with barely a whimper from Italy’s top flight. By this point, Batistuta had grown accustomed to the adoration showered upon him from the stands every match-day within the Artemio Franchi. Eschewing the advances of Europe’s elite, he would remain with La Viola even after their relegation. Thus, when a new season dawned in 1993, the newly-christened Batigol would take to the field with his beloved Fiorentina in the unfamiliar surroundings of Serie B. With Ranieri at the helm, Fiorentina were steered back to the golden shores of Serie A. Batistuta, becoming the ever-reliable first mate, scored 16 times, matching his tally from the previous season, and his loyalty was duly rewarded. Back in the top flight, the 1994/95 season would prove to be the watershed moment in Batistuta’s career. His enforced absence had only seemed to have elevated his desire. His ruthlessness was equalled only by his importance to Fiorentina’s cause; after scoring a late winner against Cagliari on the opening day of the season, he would go on to score in eleven consecutive matches – a record which stands in Serie A to this day. All the more remarkable was Batistuta’s ability to unlock even the most miserly of defences despite the shortcomings of his team-mates. Fiorentina would finish in a lowly tenth-place, but Batistuta would claim the Capocannoniere with 26 goals. It’s something of a mystery that 1994/95 remained the only time Batistuta would top the goalscoring charts in Serie A. Still, though the following season Batistuta would contribute fewer goals (19 in total), Fiorentina’s fortunes began to take an upturn. With their Argentine figurehead leading the charge – ably assisted by the likes of Rui Costa – La Viola would finish in fourth place and earn entry into the UEFA Cup. At last, it seemed the time had come for Batistuta to test his mettle on the European stage. However, the UEFA Cup that awaited them was snatched away; not by some cruel twist of fate but by virtue of Fiorentina winning the Coppa Italia and therefore being granted a place in the Cup Winners’ Cup instead. It was the club’s first major trophy since their Serie A triumph in 1968, and it was achieved thanks to the scintillating talents of Gabriel Batistuta. Fiorentina’s Coppa Italia campaign possessed an air of the mythical. They navigated the early rounds before a two-legged semi-final against Inter awaited. 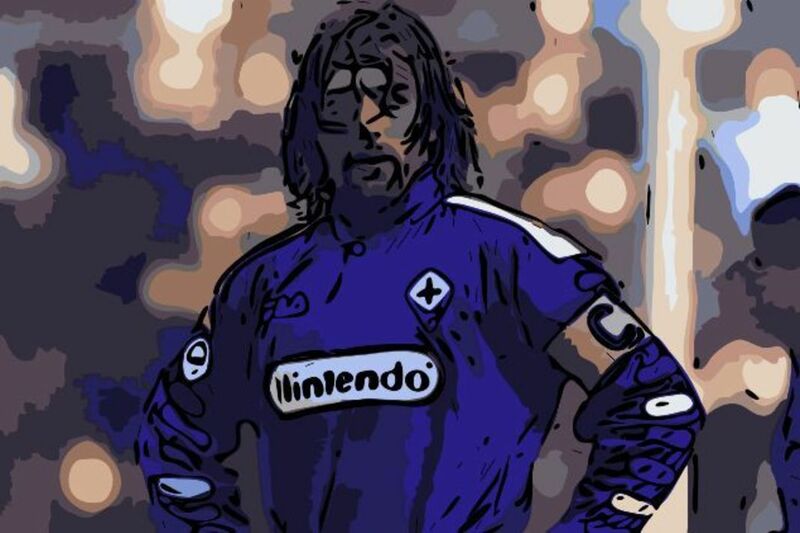 What was regarded as a momentous moment for a club who hadn’t reached a cup final in thirty years was treated merely as an inconvenience for Batistuta, who blew the Nerazzuri away with four goals in two games. With the prospect of a major domestic trophy within his grasp, he struck in both legs of the final, and claimed the coveted silverware. 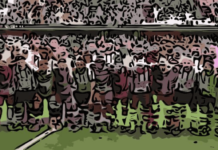 Riding an enormous wave of purple optimism, Fiorentina arrived a few months later at the San Siro for the customary curtain-raiser, the Supercoppa Italiana, between themselves and league winners AC Milan. At the time, Milan were at the height of their powers. Only three seasons prior, they had romped to the Serie A title having conceded only 15 goals in 34 matches. 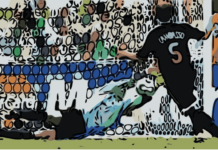 A back line marshalled by the legendary Franco Baresi and containing Alexander Costacurta and Paolo Maldini was considered virtually impregnable. Except that a certain Argentine number nine, wearing the coveted captain’s armband, had other ideas. With practised ease, born from a simmering desire to traverse to the summit of his profession, Batistuta destroyed a defence that housed some of the world’s foremost defensive custodians. 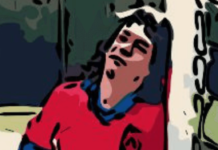 He beguiled Baresi for the opening goal with a deft touch that took the ball over the defender’s head, before smashing the ensuing volley past a helpless Rossi. Then, in the 84th minute with the score locked at 1-1, Batigol stepped up to a dead ball and whipped a sumptuous freekick past a bewildered Milan wall into the back of the net. For the second time in a matter of months, the streets of Florence were engulfed in a tide of purple as the city flocked to the altar of the Artemio Franchi to pay worship to their new God. By this point in his career, Batistuta had firmly established himself as the finest striker in Italy. His mere presence in the forward line had transformed Fiorentina into silverware-chasers. Their whole game-plan was constructed around his prodigious ability to terrorise defences. Considering Serie A was regarded as the ancestral home of the centre-back, there was not a single defender plying their trade in Italy’s shores that could handle the explosive power of Batigol. Over the next few seasons, he continued to score with impudent regularity in Italy. The arrival in Milan of the great Ronaldo could not quell Batistuta’s quest for glory. Refusing to be overshadowed by the Brazilian, Batistuta registered 20+ league goals in four out of the six seasons between 1995 and 2000. But the Alps to the North were no longer sufficient to contain Batistuta’s burgeoning talent; Fiorentina qualified for the Champions League in 1999, and with it came encounters with some of Europe’s heavyweights. The continent proved no hindrance to his exploits, as Batigol tore apart Arsenal in the group stages with expert flourish. A thunderous winner at Wembley would be topped barely a month later with a venomous, thirty-yard strike against the previous year’s European champions, Manchester United. No one looked more comfortable on the continental stage than Batistuta, and his form – both domestic and European – was duly recognised as he finished in third place in the 1999 World Player of the Year awards. Yet, for all his personal glory, there remained one glaring omission from Batistuta’s Fiorentina CV: the Scudetto. In his nine seasons in the purple of La Viola, Batistuta would never finish higher than third. More often than not, he would find his side languishing outside the European places come May. Thus, it was with a sense of sincere regret than Batistuta did the unthinkable at the turn of the century – and left Fiorentina for AS Roma. His desire to capture the Serie A title was incompatible with remaining in Florence, for as much as he loved the club, he had given his all during nearly decade-long tenure and always finished empty-handed. Roma shelled out €36.2 million – until Leonardo Bonucci in 2017, a record fee for a player over the age of 30 – for the man who had long been regarded as the premier striker in all of Europe. With him, I Giallorossi sought to end their twenty-year drought. And for Batigol, the yearning to clinch the Scudetto was just as keen.